Users have found that some new releases on the iTunes Store list availability in 4K resolution and high dynamic range, suggesting that support for ultra-high-resolution video formats may soon come to iTunes, along with new Apple TV hardware. Users who delved into their iTunes purchase history found that recent films Passengers and Fantastic Beasts and Where to Find Them show both owned and rented copies of the films as "4K, HDR." The customer discoveries were first shared on the MacRumors forums. After the listings were revealed, others on Twitter checked their own iTunes purchase history to confirm. However, there is no actual 4K support on iTunes yet: Files simply download in standard high-definition. If Apple is preparing to add 4K support for iTunes content, it wouldn't be a surprise, as films and other programs are now becoming available in UHD resolution to support new high-end 4K TVs. Netflix, for example, streams its new original series in 4K to users with compatible television sets and set-top boxes. And devices like the Xbox One S are capable of reading 4K Blu-rays. But one major player in the set-top box market lacks support for 4K: the Apple TV. Last refreshed nearly two years ago with the Siri remote and support for the tvOS App Store, the Apple TV maxes out at 1080p high-definition. Hardware limitations within the current Apple TV prevent it from supporting 4K resolutions with a software update. That means Apple will need to release a new model to play 4K content from iTunes. 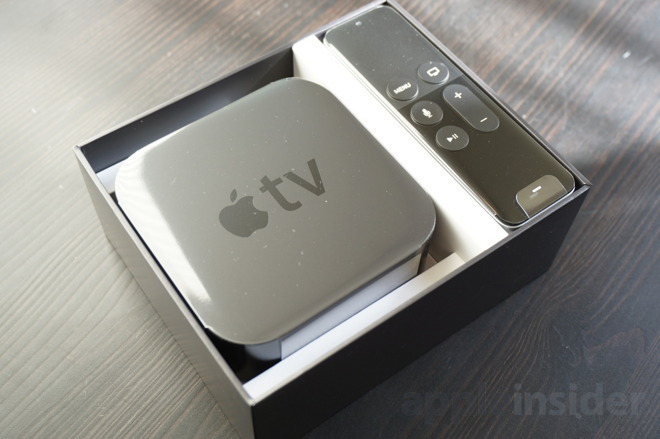 A rumor from earlier this year claimed that a new Apple TV with 4K support is in the works. It suggested that beyond adding the higher resolution for compatible televisions, the hardware refresh known as "J105" in testing wouldn't do much else new. The rumor also mentioned "more vivid colors," which would imply HDR support. Compatible televisions can showcase high dynamic range content with greater contrast and vibrant colors. Without an Apple TV update, only two products in Apple's current lineup could properly display 4K content: the 21.5-inch iMac with Retina 4K display, and the 27-inch iMac with Retina 5K display.